Thursday 11 April 2019, at 16 pm in aula 102, prof. Siegfried Bethke (MPI for Physics, Munich) will give Colloquium on “Measurements of Strong Coupling alpha_s”. See the announcement. Thursday 21 March 2019, at 16 pm in aula 102, dr. Catalina Curceanu (INFN-National Labs Frascati) will give a colloquium on “Testing Quantum Mechanics Underground: a hunt of the impossible radiation”. See the announcement. Thursday 7 March 2019, at 16 pm in aula 102, prof. Daniel Phillips (Ohio University) will give a colloquium on “Knowing What You Don't Know: Nuclear Physics, Effective Field Theory, and Uncertainty Quantification”. See the announcement. Thursday 14 February 2019, at 16 pm in aula 102, dr. Ivano Tavernelli (IBM Research Laboratory, Zurich) will give a PhD Colloquium on “Quantum computing simulations: applications in physics and chemistry”.See the announcement. The PhD course “Quantum Computing” continues with lectures on 12, 13, 14 January 2019 in aula 102. See the programme and the web site. The PhD course “Quantum Computing” continues with lectures on 15, 16, 22, 23 January 2019 at 10 am in aula 101. See the programme and the web site. Thursday 24 January 2019, at 16 pm in aula 102, prof. Francesco Romanelli (ENEA and University of Rome Tor Vergata) will give a PhD colloquium on “Roadmap to energy from nuclear fusion”. See the announcement. Thursday 13 December 2018, at 16 pm in aula 102, prof. Roberto Osellame (IFN-CNR and Politecnico di Milano) will give a PhD colloquium on “Femtosecond-laser micromachining of transparent materials: an enabling tool for physics on a chip”. See the announcement. The PhD “Quantum Computing” starts on Monday 3 December at 10 a.m. in aula 101. See the programme and the web site. Thursday 15 November 2018, at 16 pm in aula 102, prof. Rosario Fazio (ICTP Trieste and SNS Pisa) will give a PhD colloquium on “Quantum simulators”. See the announcement. Thursday 31 May 2018, at 16 pm in aula 102, prof. Gilberto Colangelo (Bern University) will give a PhD colloquium on “How to determine the masses of the lightest quarks”. See the announcement. The call for applications to PhD studies in Physics has been published, please see the dedicated web page. Deadline for applications: 13 June 2018 at 17 PM. Thursday 22 March 2018, at 16 pm in aula 102, dr. Mila Pandurovic (Vinča Institute of Nuclear Sciences, University of Belgrade) will give a PhD colloquium on “Linear Colliders – the Higgs boson microscopes”. See the announcement and the calendar. Thursday 25 January 2018, at 16 pm in aula 102, Prof. Paolo Milano (Univ. of Milan) will give a PhD Colloquium on “Nanotechnology at work: how to marry an academic career with entrepreneurship”. See the announcement. The Physics Department is admitted to government funding for the Departments of excellence, yielding sizeable funding for personnel, equipment, and quality education in the next five years. See the MIUR press release and the national ranking. Thursday 16 November 2017, at 16 pm in aula 102, Prof. Fabio Sciarrino (University of Rome “La Sapienza”) will give a PhD Colloquium on “Quantum information on a photonic chip”. See the announcement. “Opening the gravitational wave window to the Universe” - Thursday 26 October 2017, at 16 PM in Aula 102, prof. Eugenio Coccia (Rector, Gran Sasso Science Institute) delivers the Volta lecture to inaugurate the Colloquia of the PhD in Physics for the academic year 2017/2018. See the announcement and the and the calendar. On 6 and 9 October 2017 in aula Dottorato, PhD students in Physics will deliver their end-of-year seminars. See the programme. Admission to PhD, 2017 The call for applications to PhD studies in Physics has been published, please see the dedicated web page. Deadline for applications: 14 July 2017 at 17 PM. Tuesday 23 May 2017, at 16 pm in aula 102, Dr. Marino Crisconio (Italian Space Agency) will give a PhD Colloquium on “The scientific utilization of the International Space Station”. See the announcement and the Colloquia web page. Thursday 11 May 2017, at 16 pm in aula 102, Prof. Giacomo Ghiringhelli (Politecnico di Milano) will give a PhD Colloquium on “X-ray Vision of High Tc Superconductivity”. See the announcement. Thursday 23 March 2017, at 16 pm in aula 102, Dott. Tiziano Camporesi (CERN, Ginevra) will give a PhD colloquium on “True measurements, false discoveries: a walk through High Energy Physics achievements”. See the announcement. Thursday 2 March 2017, at 16 pm in aula 102, Prof. Viatcheslav Mukhanov (Ludwig-Maximilians Univ. Munich) will give a PhD colloquium on “Quantum Universe”. See the announcement. Thursday 16 February 2017, at 15 pm in aula 102, the international PhD organizes a workshop on biomedical physics with talks by Kevin Prise (Belfast), Katia Parodi (Monaco), Lembit Sihver (Vienna). See the announcement and the calendar of Colloquia. Thursday 26 January 2017, at 16 pm in aula 102, Prof. Davide Iannuzzi (Vrije Universiteit Amsterdam) will give a PhD colloquium on “Fiber-top technology: from fundamental physics to pre-clinical research”. See the announcement. On 25-26-27 January 2017, prof. Davide Iannuzzi (Vrije Universiteit Amsterdam) will give the introductory course “Entrepreneurship for Physicists”. See the programme. Thursday 24 November 2016, at 16 pm in aula 102, Prof. Stefano Zapperi (Università di Milano) will give a PhD colloquium “How randomness controls the failure of disordered complex systems”. See the announcement. Thursday 20 October 2016, at 16 pm in aula 102, dr. Michele Punturo (INFN Perugia) will give a PhD colloquium on “The detection of Gravitational Waves: the dawn of a new era in the observation of the Universe”. See the announcement and the calendar. The call for applications to PhD studies in Physics has been published, please see the dedicated web page. Deadline for applications: 8 July 2016 at 17 PM. Thursday 9 June 2016, at 16 pm in aula 102, prof. Marco Durante (TIFPA, Trento) will give a PhD colloquium on “Heavy ions in therapy and space”. See the announcement and the calendar. Thursday 19 May 2016, at 16 pm in aula 102, prof. Carl E. Carlson (College of William and Mary, Williamsburg, Virginia, U.S.A.) will give a PhD colloquium on “The Proton Charge Radius Puzzle”. See the announcement and the calendar. Thursday 5 May 2016, at 16 pm in aula 102, dr. Aleandro Nisati (INFN Roma 1) will give a PhD colloquium on “High-energy physics with particle colliders: the present and the future”. The Colloquium will be followed by a debate on the long-term future of high-energy physics. See the announcement. Thursday 21 April 2016, at 16 pm in aula 102, dr. Massimo Passera (INFN Padova) will give a PhD colloquium on “Testing the Standard Model with the lepton g-2”. See the announcement. Thursday 7 April 2016, at 16 pm in aula 102, dr. Francesco De Angelis (IIT Genova) will give a PhD colloquium on “Three-dimensional nanostructures for bio-photonics and neuro-plasmonics”. See the announcement. Thursday 10 March 2016, at 16 pm in aula 102, Dr. Walter Belardi (University of Southampon, UK) will give a PhD colloquium on “Hollow core optical fibers: a brief history and future perspectives”. On 8-9 March he will give two lectures within the PhD course “Photonics”. See the announcement. Thursday 25 February 2016, at 16 pm in aula 102, prof. Paolo Mataloni (Univ. Roma La Sapienza) will give a PhD colloquium on “Integrated waveguide photonics circuits for quantum simulation and beyond”. See the announcement. Thursday 11 February 2016, at 16 pm in aula 102, prof. Roberto Gaudino (Politecnico di Torino) will deliver a PhD colloquium on “Photons to the home: status of the art in optical access networks and forecasted optoelectronic component requirements”. See the announcement. “Some practical applications of Calorimetry” - Thursday 28 January 2016, at 16 PM in Aula 102, prof. Richard Wigmans (Texas Tech University, USA) delivers the Volta lecture to inaugurate the Colloquia of the PhD in Physics for the current year. See the announcement. The Department is closed from 24/12 to 27/12/2015 and from 31/12/2015 to 6/1/2016. Be careful when accessing (rules). A happy Holy Time to all physicists and non-physicists. On October 9th and 12th the PhD students in Physics will give their end-of-year seminars. See the programme. Post-doc openings in theoretical physics in the framework of ERC Consolidator Grant 3DSPIN are announced: see the dedicated web page. The call for applications to PhD studies in Physics has been published, please see the dedicated web page. Deadline for applications: 8 July 2015 at 17 PM. Thursday 12 March 2015, at 16.00 in aula 102, prof. Claude Weisbuch (Ecole Polytechnique Palaiseau and UCSB) will give a PhD colloquium on “LEDs for lighting”. See the announcement. Thursday 12 February 2015, at 15 PM in Aula 102, prof. Nicolas Gisin (University of Geneva) delivers the Volta lecture to inaugurate the Colloquia of the PhD in Physics for the current year. See the announcement. The Department is closed from 24/12/2014 to 6/1/2015. Be careful when accessing (rules). A Happy Holy Time to all physicists and non-physicists. Monday 5 May 2014, at 16.00 in aula 102, prof. Abhay Deshpande (Stony Brook Univ, NY) will give a PhD colloquium on “Electron Ion Collider: the Next QCD Frontier. Investigations of the Glue that binds us all”. See the announcement. Monday 5 May 2014, at 14.00 in aula Dottorato, prof. Andrea Cavalleri (MPSD & Univ. Hamburg) will give a seminar on “Controlling Superconductivity with Light”. See the announcement. 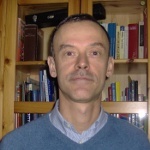 Colloquium 13 March Thursday 13 March 2014, at 16 pm in room 102, prof. Bernd Buechner (IFW and TU Dresden, DE) will give a PhD colloquium on “Intrinsic Magnetic and Electronic Nanoscale Structures in Transition Metal Oxides”. See the announcement. Thursday 6 March 2014, at 16 PM in Aula 102, prof. Giorgio Benedek (University of Milano Bicocca) delivers the Volta lecture to inaugurate the Colloquia of the PhD in Physics for the current year. See the announcement. The Physics Department is closed from 23 December 2013 to 6 January 2014. Be careful when frequenting. Best wishes of happy Holy Time and New Year to everybody. Colloquium 14 November Thursday 14 November 2013, at 16 pm in room 102, prof. Dirk van der Marel (Université de Genève, CH) will give a PhD colloquium on “Superconductivity, broken symmetry and the Higgs mechanism in condensed matter”. See the announcement. The Physics Department and the INFN in Pavia participated to the ATLAS and CMS experiments, that demonstrated in 2012 the existence of the Higgs boson: an important contribution to the Nobel Prize for Physics 2013, attributed to F. Englert and P.W. Higgs, the two scientists who predicted the existence of the particle 50 years ago. See the news. Very good result for Physics in Pavia, which is among the 200 World Top Universities in the Shanghai academic ranking for 2013: see the news. Thursday 21 March 2013, at 15 PM in room 102, prof. Aldo Di Carlo of the University of Rome Tor Vergata will give a talk on “Organic Photovoltaics: from basic research to industrialization”. See the announcement. Thursday 14 March 2013, at 16 pm in room 102, prof. Craig Hogan of the University of Chicago will give a PhD colloquium on “Quantum Geometry and Interferometry”. 21/02/2013: M.Sci. graduate in Physical Sciences in Pavia is awarded a prize for her thesis. Read more. 14/02/2013: The web site of the Physics Department is online – For the best successful activities, with mind and heart. The call for applications to PhD studies in Physics is available on the University and PhD in Physics web sites. Deadline for applications: 18 July 2012. Registrations for the postgraduate photonics workshop of Marie Curie initial training network PROPHET, 11-13 April 2012, are open. See the web site.